Just for kicks, I’m keeping the Scandanavian theme running. This Swedish outfit turns out mall-friendly rock with massive debts owed to the likes of Blondie and, well, Blondie. Singer Maja Ivarsson is brassy and sassy and just a little angsty but never remotely dangerous, likewise for the rest of the band who turn out a slick, PG-13 version of punk, glam and new wave. There’s nothing really hooky enough here to become a runaway Summer hit, but it’s all pleasantly anthemic and edgy enough to soundtrack suburban teenage rebellion or the prom. Whichever. I’m not too proud to admit that I’ve always avoided Norway’s Sondre Lerche if for no other reason than he’s far too pretty to be trustworthy – that and the fact that another sensitive singer-songwriter type isn’t really the sort of thing I really need in my musical diet. On his latest album, he stakes out a slightly different turf in the adult contemporary landscape – jazz. 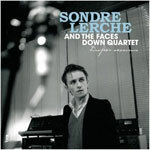 Backed by a rather swinging quartet, Lerche turns out a surprisingly accomplished and convincing set of jazz-pop, comprised mostly of originals save for some covers with nods to the roots of jazz (Cole Porter’s “Night & Day”) as well as his own indie influences (Elvis Costello’s “Human Hands” and Prefab Sprout’s “Nightengales”). Smooth, pleasant and rather innocuous, it’s the perfect soundtrack to your next grup dinner party. 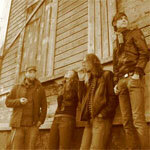 Hailing from Helsinki, Murmansk are a relatively new outfit who trade in dark, tense and grainy alt.rock. Singer Elisabeth’s voice is distinctive in a good way and ranges from a petulant growl to a more plaintive, melodic timbre when necessary. But she and the band seem more content to hang out in the shadows and make grittier, more sinister sounds. They just released their Teeth EP and show a whole lot of personality and promise – especially as their songwriting ability grows. Copenhagen’s Kind Of Girl are also built very much on the strength of singer Sissel’s voice, though hers are a prettier and more conventional set of pipes. Similarly, their music is fairly straight melodic indie pop-rock of the sort there’s never really a shortage of but never wears out its welcome either. 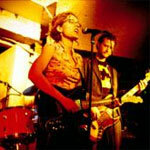 There’s no formal recorded output yet but they are presently working on their debut record. The Scandinavian theme seems to be blogosphere-wide these days.